Marvelous pieces of art appearing out of the most unassuming of raw materials. The creativity of the artist very apparent and stunning. 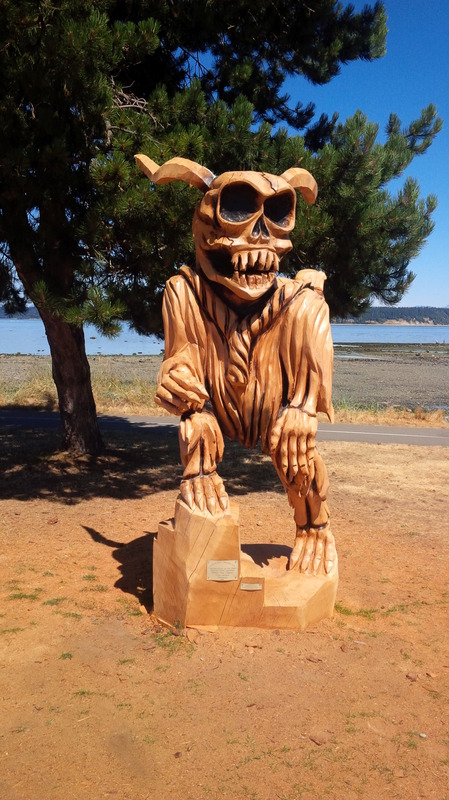 And then we learned that the only tool allowed in this woodcarving contest was a chainsaw. Who would have thought that an instrument normally associated with rough cutting and big jobs could be used to such artistic effect! It made me sit back and think about norms, preconceived notions, expectations and limitations. It made me think about looking at things in a different light. 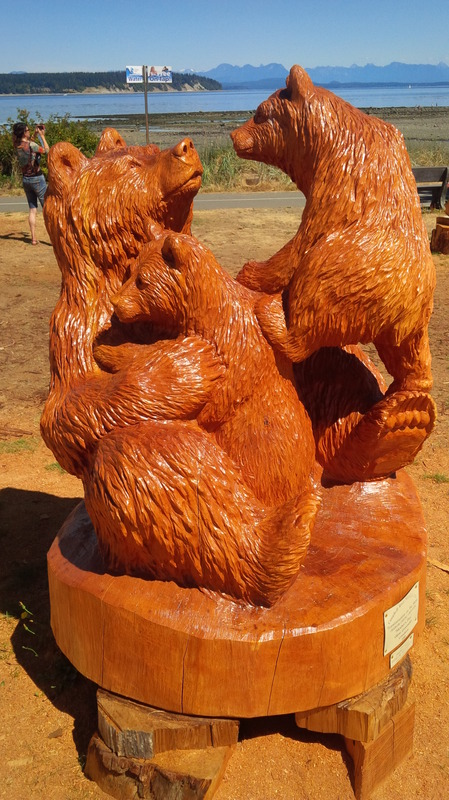 Why does that big log need to turn into lumber and not an exquisite sculpture? 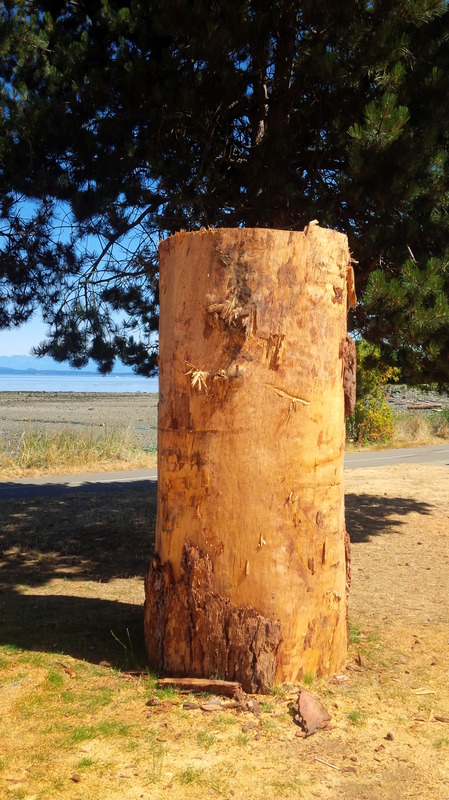 Why can’t that chainsaw, instead of chunking off slabs of wood, be wielded delicately by an artist? There is a a leadership lesson in this as well. Do we look fully enough at the innate talents and inner gifts of each of our team members? Or do we see them as stereotypical of the roles they were hired into. For example can we see past the black and white analytical skills of an accountant to see a gifted communicator who may make a great sales representative? My favourite hire ever was a person recommended to me by a customer. At the time I was running the services team of a highly technical IT company, and I was sitting staring at the resume of an individual whose past experience was as a finishing carpenter, and before that a singer/songwriter. It was difficult to imagine that it would be worth the effort to interview this person to become a highly technical storage consultant but we did. There was just something about this person that screamed success that made us hire him and invest some training in him. Within three months he was billing enough to turn a profit, garnering customer praise, continuing to learn and earning regular increases. Over the years he has turned into one of the most valued consultants in the fields of business recovery services and data center design in the country. 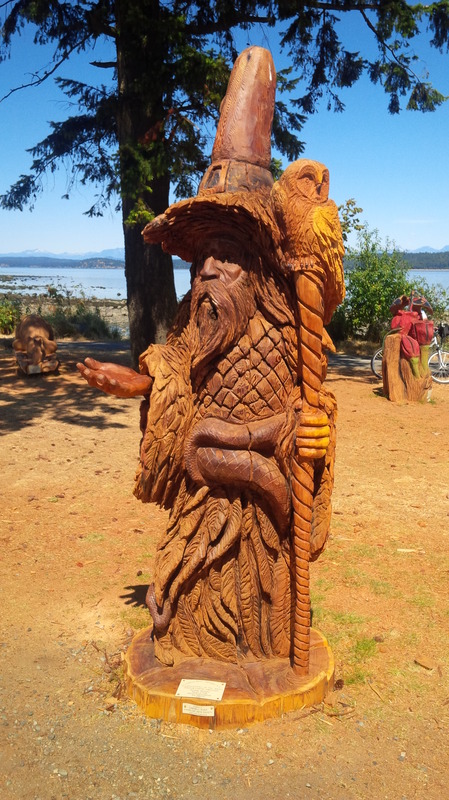 We saw past the log to the sculpture. Likewise in our current team, one of our most lucrative positions to hire into has been our shipper/receiver position. This has an easier starting point as we are essentially looking for good people who fit our culture and from there we provide training, but we haven’t own people into a technical Client Services Manager, two team leaders within our Operations team and a highly valued, customer-oriented technical specialist on our sales team. I can’t imagine where we would be at if we hadn’t recognized the greatness in these people. The other interesting thing to think about is the methods we choose to develop our people. When we look to the development of people do we look for creative new approaches? Just as the first person who picked up a chainsaw and saw it as an instrument of art, do we look at opportunities and activities as new instruments of development? I know I can try to think more laterally in this vein. Overall I think what I’m trying to say here that whenever we are in a leadership role it is important that we are cognizant of what is trying to emerge in others … how are they trying to grow … and what tools we have available to us, conventional or alternative, that can help that inner greatness emerge. I love recognizing the gifts in others and telling them what I see and encouraging them in their dreams. Great post Ian. I found myself nodding throughout the post! Thanks Diana. We all have gifts to unveil. Sometimes they are a little different than what’s on the surface! Love this line– We saw past the log to the sculpture. Like a sculptor allowing what is inside the block of marble to emerge, good leadership is allowing the gifts within each of us to emerge and shine. So true. I remember reading that Michelangelo used to be able to visualize what was inside the stone he was carving. Instead of working to create something, he worked to remove the excess stone around what was already there. In some ways I think that is exactly what the arts of coaching and leadership are about. Don’t change the essence, just help clear the way.